Finding the Best Sources on ! 1 DVD · 1 hr. 16 mins. In this extraordinary program, you’ll learn to master both Internet- and library-based research techniques. 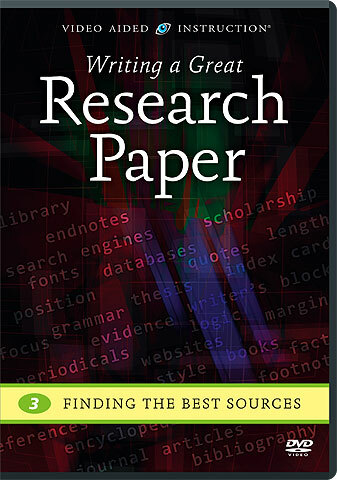 Along the way, a research expert reveals the insider secrets that every student must know for using search engines, catalogs, and reference books — and the tips and tricks that greatly improve your chances of finding information that’s appropriate, reliable, in-depth, and truly useful! NOTE: This program includes some fantastic little-known tricks for using Google™ and other popular search engines to locate academic resources on the web. This is, without a doubt, one program that all students — and most teachers, professors, and librarians — will benefit from watching!